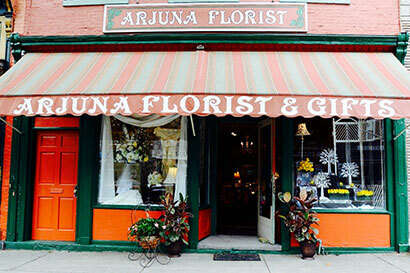 Arjuna Florist & Design is a flowershop run by Alison Andrews in Brockport, NY. Arjuna Florist & Design offers the Brockport, NY area superior floral arrangements and assortments. Our deep-rooted passion for flowers, along with our dedication to service, makes us the ideal choice for any occasion! 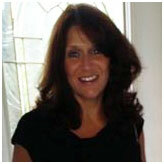 “I discovered my passion for art and design in Boston, studying at the Boston Architectural College. That passion grew along with my career in event planning and design at Boston’s best hotels. After a decade working in the luxury hotel industry my husband Bill and I moved with our four boys to Brockport to be closer to our family. In 2004, I joined the staff at Arjuna Florist as a designer and wedding consultant. This is where I discovered what I was meant to do. I worked at Arjuna Florist for almost 10 years as a designer before Bill and I bought the shop from founders, Don and Lynne Short, in June 2014. Today I have the best job in the world. Flourishing under the previous owners, I was selected as one of the NY area winners to study with Teleflora’s top designers in Kansas City. Recently, we were awarded the Chamber of Commerce’s, 'Beautification Award.' It is such an honor to be recognized in this way. At Arjuna Florist and Design you will be met with enthusiastic, attentive, and customer-driven staff. Every employee specializes in one or more areas of design and this is how we have built and maintain our reputation. I honestly get excited when I have the opportunity to brighten someone’s day or help create a memory. To excel in this industry, you have to love what you do. We do. We want to make you happy - so you’ll be happy and return. It is our pleasure to serve you." Visit our shop at 78 Main Street in Brockport, or call us at 585-637-3106.